In a compelling new interview with writer Lou Fancher of the East Bay Times, singer/songwriter Joan Osborne explains what inspires her about Bob Dylan’s music and how it expands her perspective and influences her music. “When you’re doing any covering of other people’s material, your job is to bring out something that hasn’t been discovered yet. When you have an artist of the depth and richness of Bob Dylan, you tend to go to emotional terrains that you haven’t gone to in your own work,” she said. Because she “cut her teeth” as a singer in part by performing from early on Dylan’s folk-based, American idiom-filled work, Osborne didn’t actually discover new technical aspects to her voice while working on the project. But with years of singing, the 55-year-old says a deep richness and new textures she calls “seasoning” have appeared. An exceptional songwriter herself, Osborne’s take on Dylan’s songs become a rich collaboration. 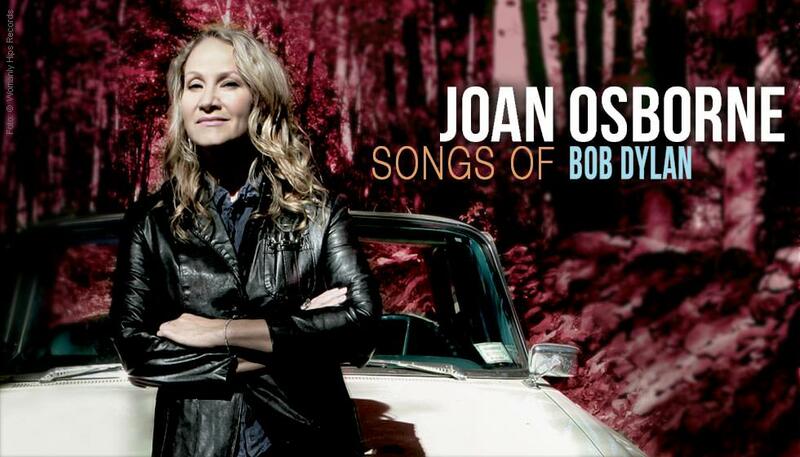 Then buy tickets to hear Joan’s take on Dylan’s songs in the intimate setting of Livermore’s Bankhead Theater.